Founded in 1791 and integrated into the University of London in 1949, the Royal Veterinary College University of London is UK’s largest and oldest veterinary school. It offers undergraduate, postgraduate and CPD programmes in Veterinary medicine and nursing. The University is one of the world’s leading specialist veterinary and biological science research institutions, the driving force behind the establishment of UK’s veterinary profession. 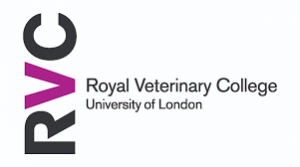 Royal Veterinary College University of London is ranked between 351st and 400th in the world and 52nd in the UK by the 2018 Times Higher Education World University Rankings. The University was accoladed the Teaching Excellence Framework Gold Award in June 2017 and holds full accreditation from the AVMA (American Veterinary Medical Association), EAEVE (European Association of Establishments of Veterinary Education), RCVS (Royal College of Veterinary Surgeons), AVBC (Australian Veterinary Boards Council Inc.) and the Royal Society of Biology. Academically, the University’s strength lies in Veterinary Medicine (4th).